POMONA, Calif. (August 29, 2013) – The 2013 Lucas Oil Off-Road Expo powered by General Tire will invade the Pomona Fairplex Saturday, October 5 through Sunday, October 6, with everything off-road including new vehicles, thousands of parts and accessories, Toyota off-road test drives, racing demos from the King of the Hammers and Lucas Oil Off Road Racing Series and more. 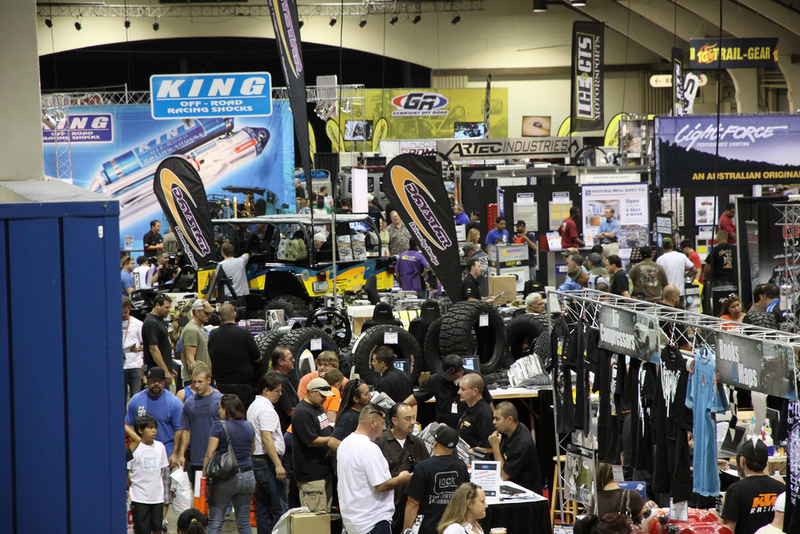 This year’s expo features more than 350 of the industry’s leading manufacturers, dealers and distributors, showcasing all the latest off-road toys, technologies, parts, gear and accessories. Hammer Town – New This Year! Get autographs from star King of the Hammers racers and watch expert drivers on the KOH Exhibition Course. All day Saturday & Sunday! SCOREville – This special display area will be a tribute to the SCORE Baja Legends and will include displays of vintage and current desert racing vehicles, as well as a plethora of autograph sessions with past and present racing legends on Saturday, October 5 and Sunday, October 6, from noon to 2 p.m. SCOREville will also host the live draw and unveiling of the official course map for the 46th Annual Tecate SCORE Baja 1000, on Saturday, October 5, at 3 p.m.
Toyota Ride and Drive – Test drive a collection of Toyota’s hottest new 4×4 products on a specially designed off-road course, complete with dirt, hill climbs and bumps. Lucas Oil Off-Road Racing at the MAV TV Proving Grounds – Title sponsor Lucas Oil revs up this year’s expo with the high-powered, high-jumping race trucks from the Pro 4 Unlimited and Pro 2 Unlimited classes racing at the MAV TV Proving Grounds inside of Off Road Expo on a closed-circuit course. Professional drivers will demonstrate the capabilities of these amazing 800-plus horsepower V8-powered machines. Professional Off-Roader Racers – Racing legends will sign autographs and greet fans throughout the weekend. Check out www.offroadexpo.com for a full schedule of celebrity appearances. Miss Lucas Oil Off-Road Expo Bikini Contest – On Sunday, October 6, the Bud Light Entertainment Stage will host beautiful bikini-clad women competing for a cash prize, tiara and “Miss Lucas Oil Off-Road Expo” title. Movie Premieres In Dirt Theatre – A screening area dubbed “Dirt Theatre” will showcase some of the best independent off-road films from talented off-road filmmakers. 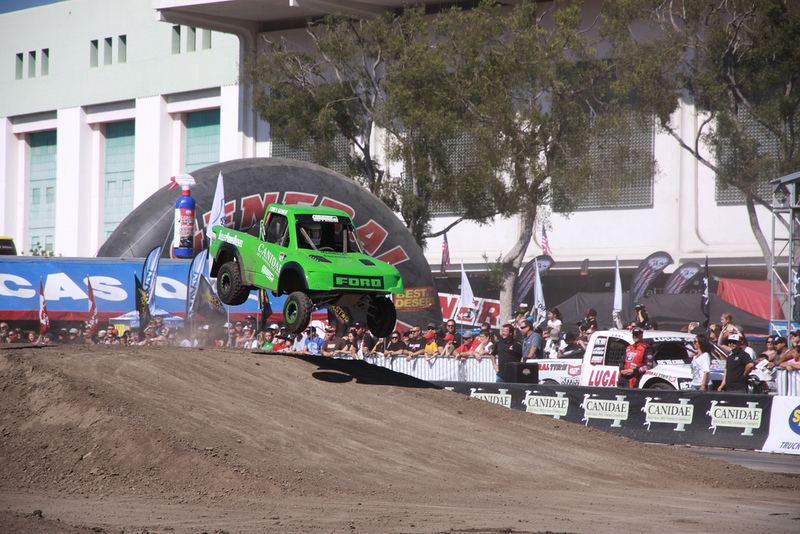 Attendees will witness insane off-road racing action from trophy trucks, to rally cars, to bikes – everything on dirt. Founded by Martelli Brothers and produced by Mad Media, the General Tire Mint 400 (extended version) and Dezert People are among the movies that will get your heart pumping. Movies will play throughout the weekend allowing attendees to sit, relax and enjoy the action. Live Music on the Bud Light Entertainment Stage – Stop by the stage and rock out with live music all weekend long. 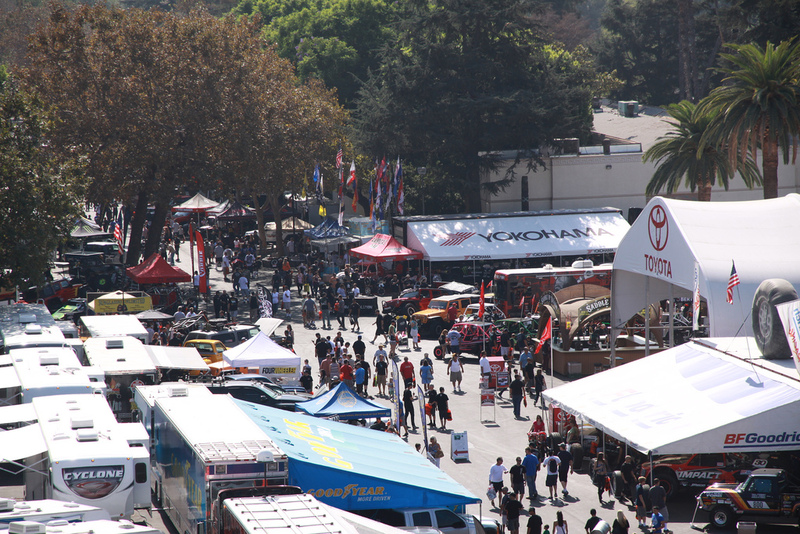 The 2013 Lucas Oil Off-Road Expo powered by General Tire will take place Saturday, October 5, from 9 a.m. to 6 p.m. and Sunday, October 6, from 9 a.m. to 5 p.m., at the Pomona Fairplex, located at 1101 W. McKinley Avenue in Pomona, Calif. Advance discount tickets are available now at www.OffRoadExpo.com for $10 adults and $5 children (ages 6-12). Kids 5 and under are free. Tickets may also be purchased on-site for $14 adults, $5 children. A Family Four Pack is available for $22 and includes admission for two adults, and two children (available online only through Friday, October 4). For more information, visit www.OffRoadExpo.com. Follow the Lucas Oil Off-Road Expo at www.facebook.com/OffRoadExpo and atwww.twitter.com/OffRoadExpo.